As a child, I adored Laura Ingalls Wilder's "Little House" books, her romanticized memoir of life on the western frontier in the late 19th century. Just how romanticized these are I discovered in a wonderful new book, Prairie Fires: The American Dreams of Laura Ingalls Wilder by Carolyn Fraser. Let's just say it wasn't all Pa's joyful fiddling and endless fields of wildflowers. Wilder's books spawned many offshoots, a television series and a book of recipes among them. I've made Molasses on Snow Candy from The Little House Cookbook by Barbara M. Walter and, a few weeks ago, inspired by Prairie Fires, I baked Heart-Shaped Cakes, a recreated version of a confection made by Ma and placed in Laura's Christmas stocking to her utter delight. 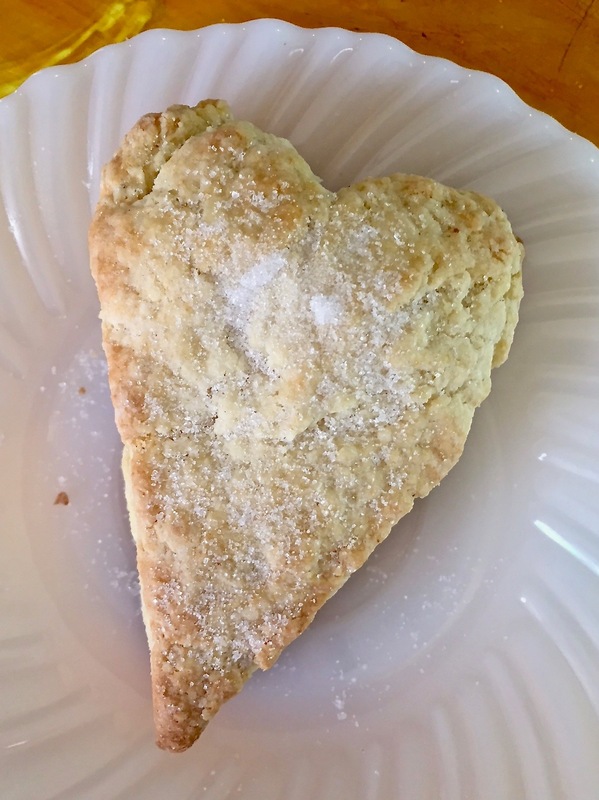 Heart-Shaped Cakes are more like a shortbread or a scone than a cake, as Ma didn't have eggs or baking powder on hand. They are simple to make and surprisingly good. (And would be a wonderful gift for your valentine!) 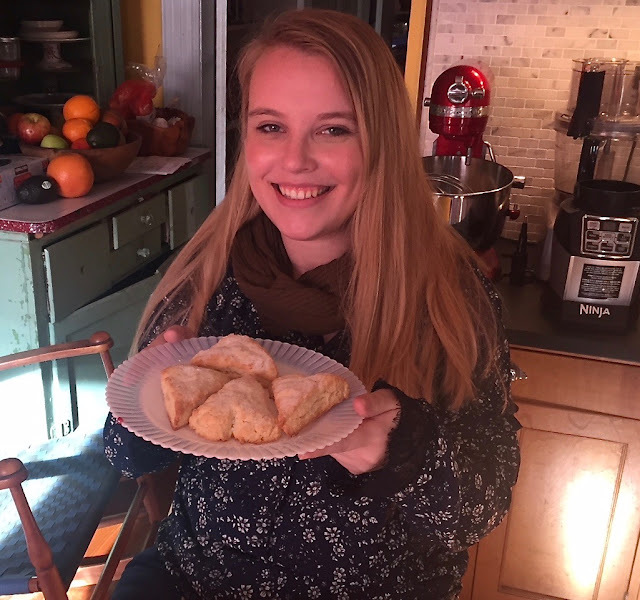 White sugar was dear on the frontier, so gifts of cake, especially topped with sugar as these are, were an extra special treat. The recipe calls for cutting the butter into the dry ingredients with cold fingers. That proved difficult, so I took a shortcut by using a pastry blender. You can also use a food processor, but that seems a bit too modern. Once the fat it cut into the dry ingredients, make a well and add the buttermilk. The dough will look rather shaggy. With your hands, form a ball. 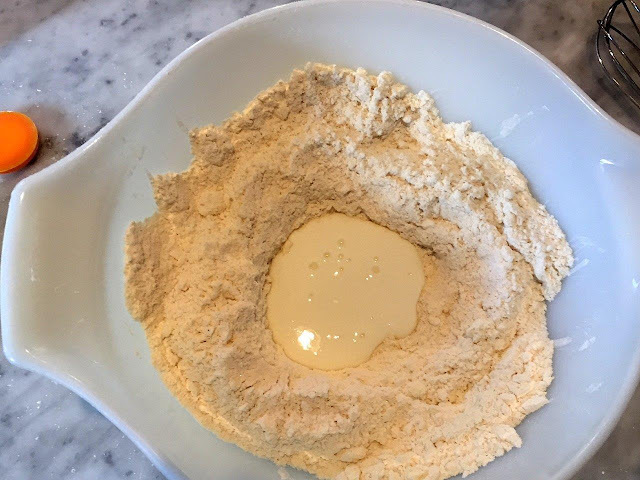 Dust your work surface with a bit of flour and roll the dough into a circle. 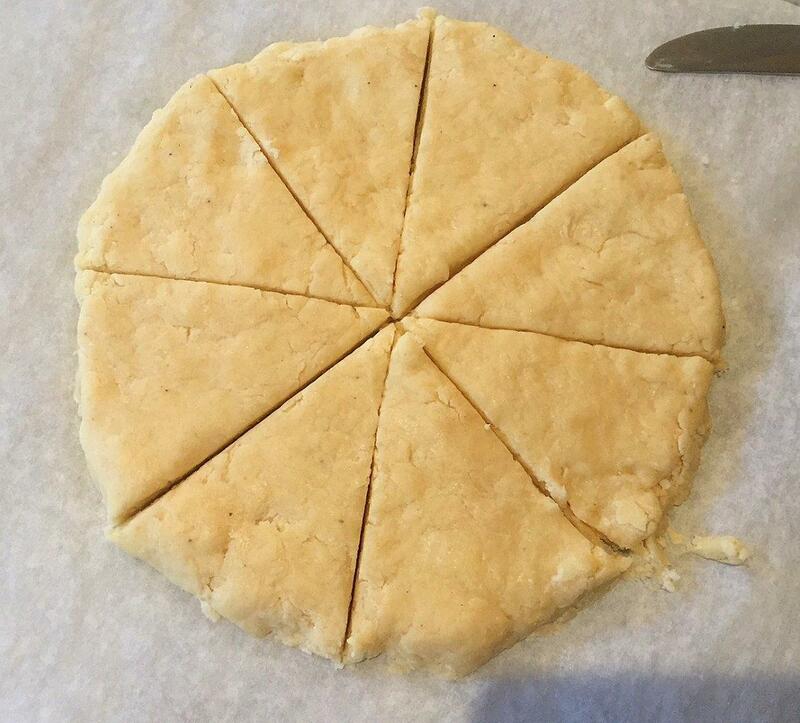 Cut into six equal pieces. Again, with your hands, shape each piece into hearts. 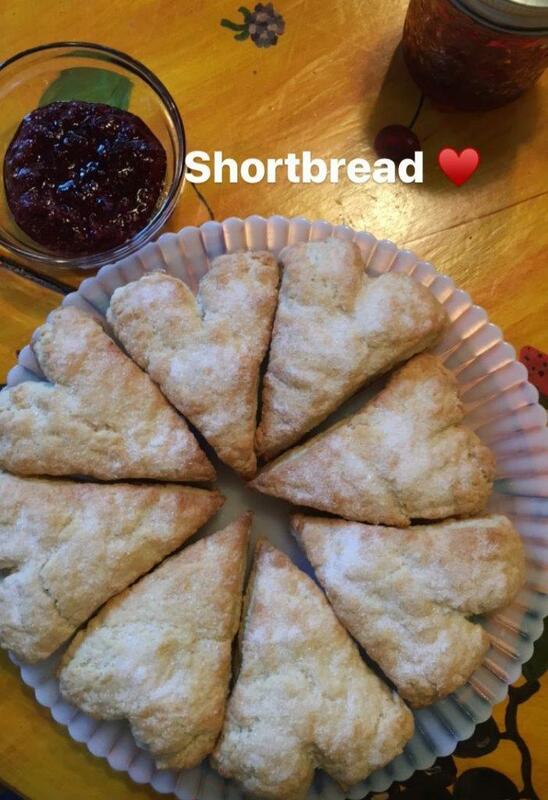 I used a butter knife to make a small cut at the top and then formed them in the heart-ish shapes. (You won't get cookie cutter perfection using this method, but neither did Ma.) 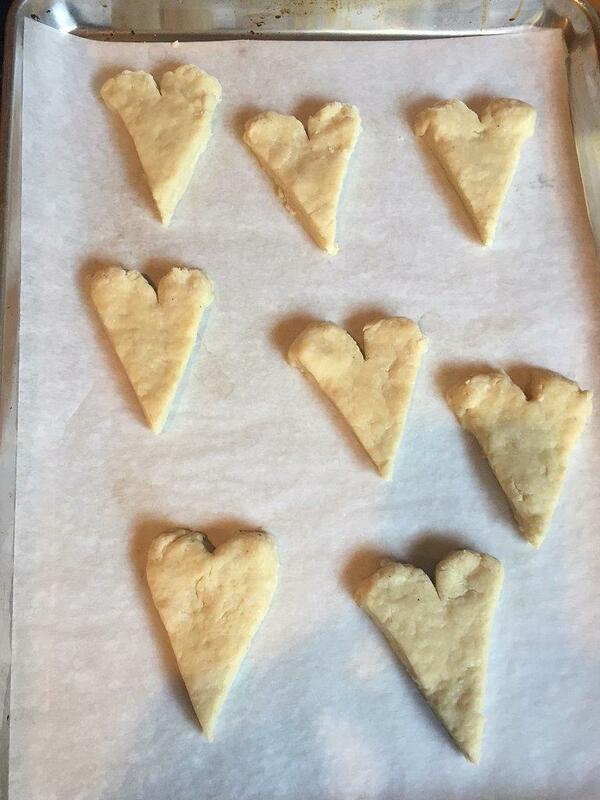 Place on a baking sheet and pop them in the oven. Here's the recipe, with my method below. 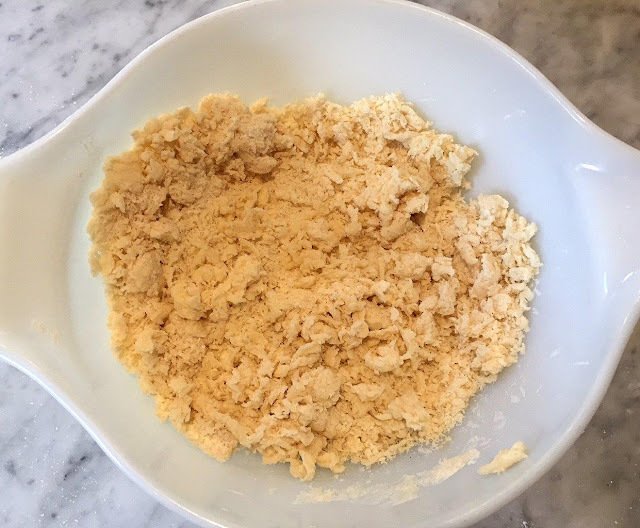 Mix flour, sugar, baking soda and nutmeg in a bowl. 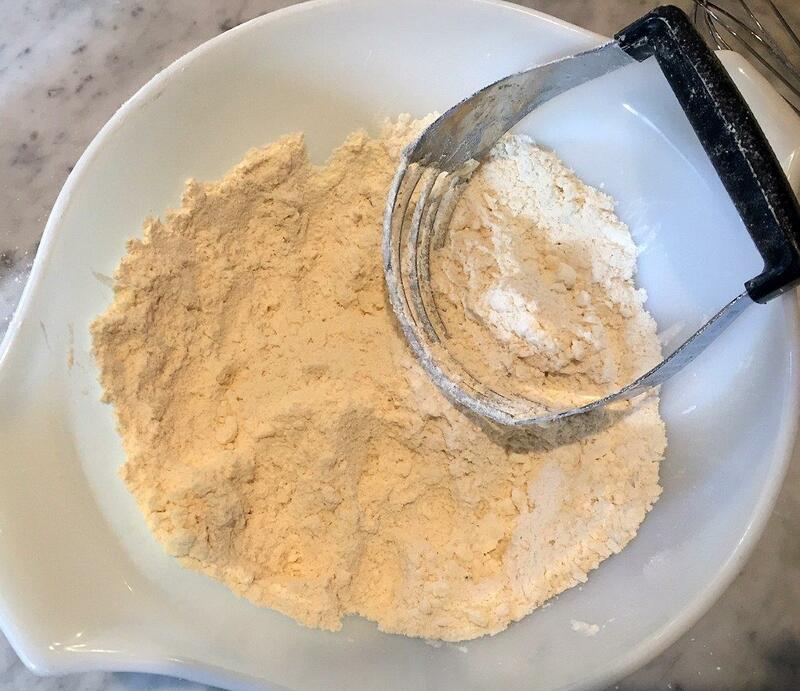 Using cold fingers, two knives or a pastry blender, rub the butter into the flour mixture. Make a well in the center and add buttermilk. 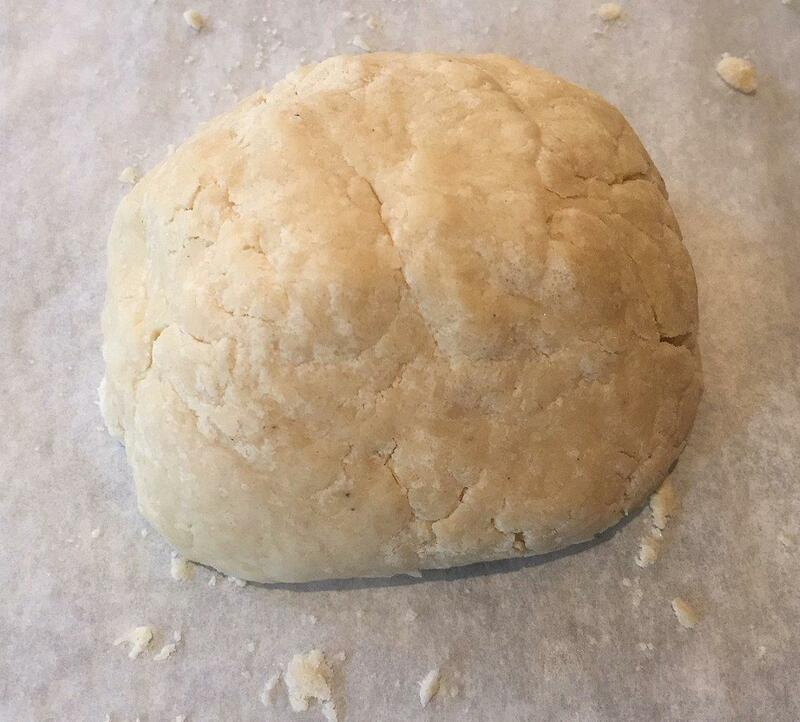 Using your hand, work it into a dough. Dust work surface with a bit of flour. Roll the dough into an 8-inch circle. Place on a greased or parchment-lined baking sheet. Bake for 15 minutes, or until the cakes are a bit puffy and the tops are slightly brown. Remove from the oven and sprinkle generously with sugar.